← Zoe Meme #104: Gleeful! Best friends, cousins, and all around rascals. 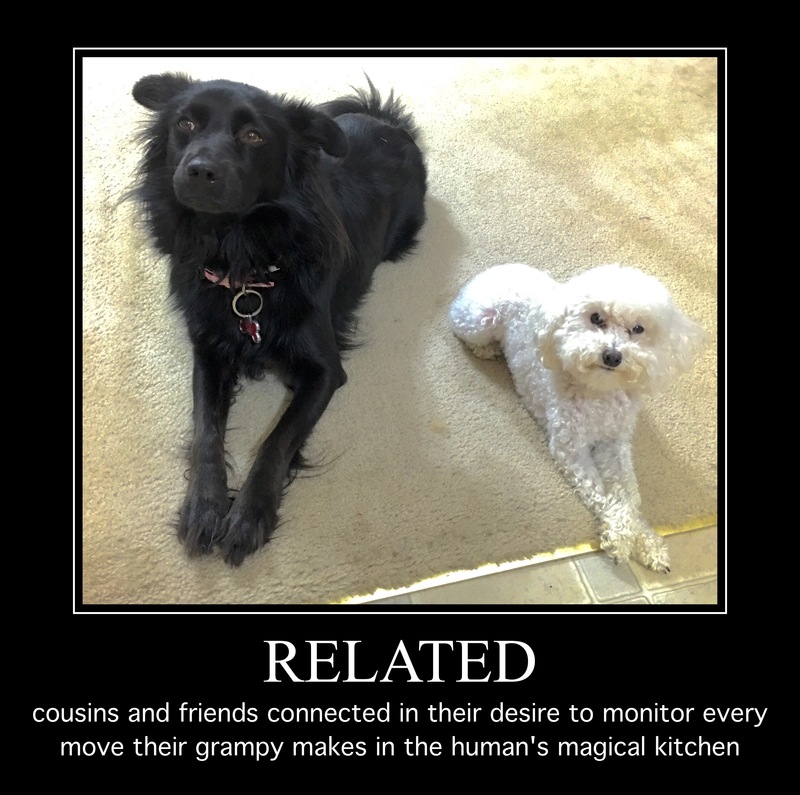 These two love to get together and watch my every move in the magical place called the human’s kitchen. Zoe sits there with a smirk on her face, legs crossed, ready to dash into the most amazing place in the house, the human’s magical kitchen, in order to get the slightest morsel of food. Milly is rather timid with food. I have to say, she is probably the first dog I’ve been around that is not ruled by her stomach. She is careful, finicky, and rather polite with her food. I’ve never seen a more cautious pup when it comes to food. The smallest critter has the biggest appetite. The one who moves fastest, Mrs Milly, just hangs back and lets little zip zip run after all the food. I suppose this goes to show it is all relative. Milly is going to be featured all of next month so I can illustrate carefully her approach to food. It will be a whole month of Milly. This entry was posted in beg, food, happy, humor, joy, love, Meme, Milly, poodle, toy, Uncategorized, Zoe and tagged dogs, human, kitchen, pets, spoiled. Bookmark the permalink.